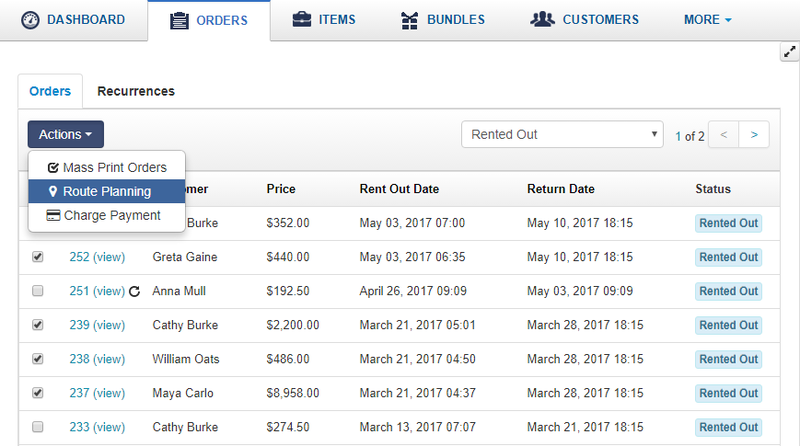 FAQs / How does EZRentOut help with Route Management? 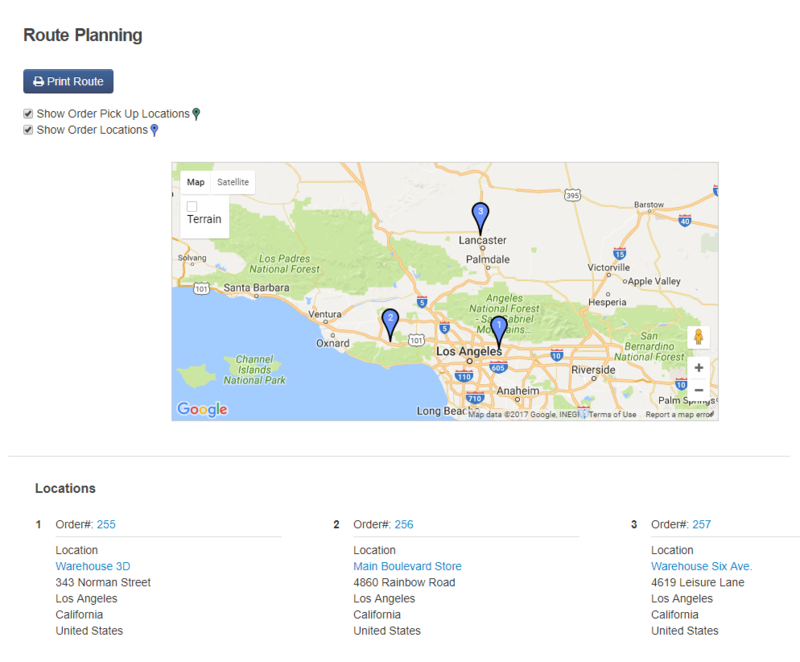 You can use our Route Management feature to map out locations for quick deliveries to your stores or warehouses. Simply go to Orders, and check all orders you would like to make deliveries against. Then click Actions > Route Planning. You can use the Print Route button for a hard copy. This can help you plan out the best routes for dropping rental equipment off at your stores or warehouses. NOTE: This feature applies to both Order Locations and Pickup Locations. You cannot currently map out routes for Shipping Locations. For more on Locations in EZRentOut, click here.